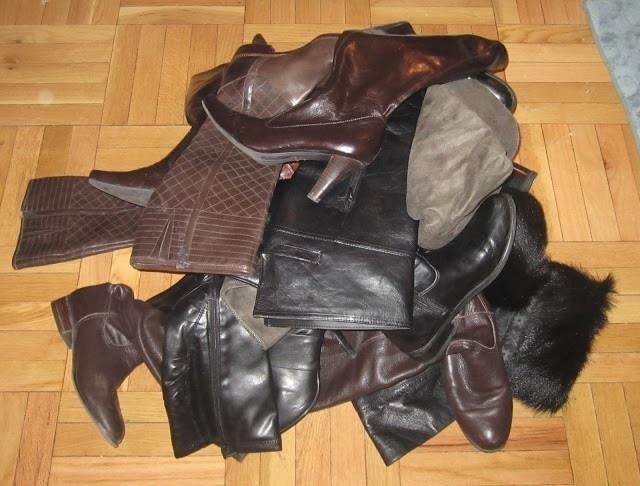 During the colder months, it seems like almost everyone wears boots. Even when it's hot out, people can be spotted with knee-highs and westerns. Whether it's for fashion or because you live in a place where 3 feet of snow is common, a good pair of boots (or five) is nice to have. The biggest problem comes in storage. Of course, there are products you can purchase to solve this problem, but like so many other things, there are ways to do it without buying a thing. Here are just a couple of ways to DIY it for free by repurposing things you already have lying around. They may have a funny sounding name, but these water toys from your distant youth actually have a few uses around the house, too. As Kelly on Sparkles & Shoes points out, they make great boot fillers. All you have to do is measure and cut them to the right length. 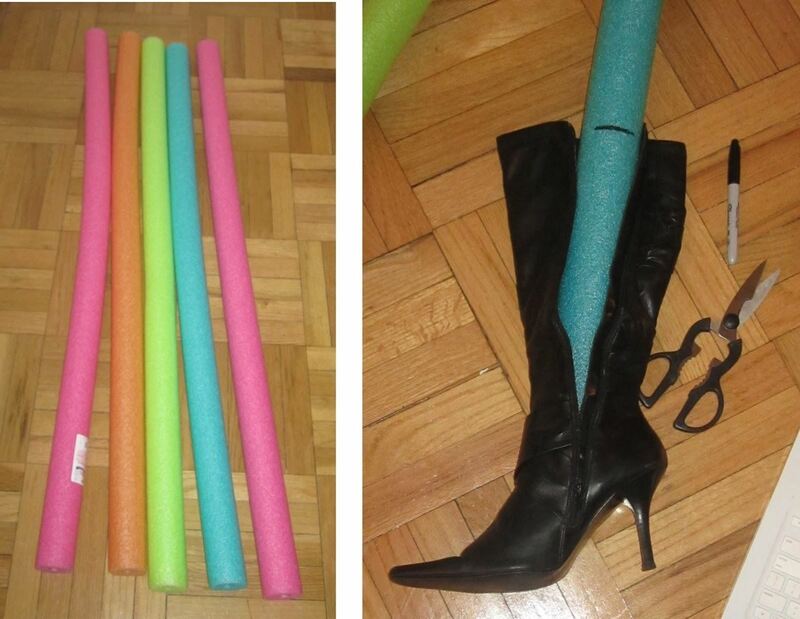 Don't have any pool noodles? Try the long cardboard tube from a roll of paper towels or gift wrap. Magazines are one of those things that we feel guilty throwing out, even knowing we'll never use them again. So, if you've got a stack lying around, why not use them to organize your shoe collection? Just roll them up and drop one in each boot. For super tall pairs, newspaper works better since it's longer. If you don't have any, try checking the stands outside your local grocery store and other businesses—most cities have at least one free publication you can pick up. If not, there's always junk mail! 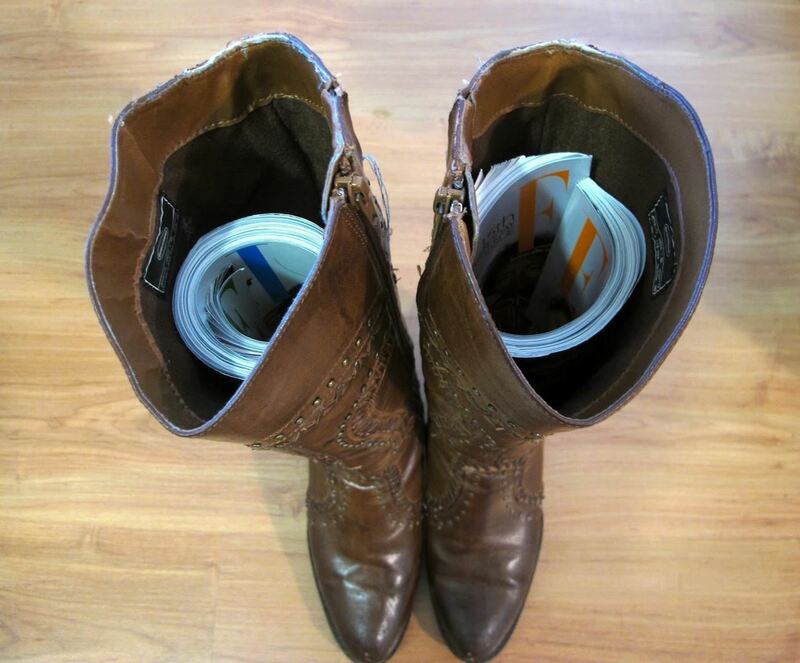 Here's a way to really save space in your closet—use flip flops to hold your boots upright. Kristen on The Frugal Girl just drops one in each boot. They don't hold the shape quite as well since they're not round, but they do a great job of keeping them standing. 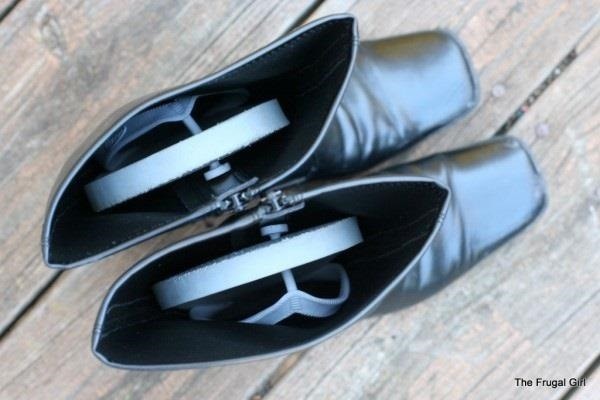 If you don't have any floor space in your closet, you can hang your boots using a binder clip. Know of any other clever tricks? Share them with us in the comments. Empty soda and water bottles work well, too. I use a couple of empty Pringles cans. I use file folders. I had some of those hanging file folders that I don't use/like anymore and they are even better because they have the metal strip for extra sturdiness. Great ideas. I will use magazines to keep my boots up!